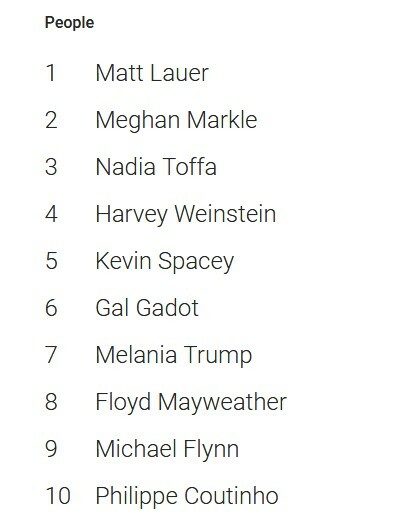 In search engine giant Google’s global list of trending people for the year 2017, Liverpool star Philippe Coutinho comes in at 10th, and is the only footballer in the list. Prima facie, this would make it appear that Coutinho was the most searched footballer on Google in 2017, but G only say that their trending list comprises of searches “that had a high spike in traffic in 2017 compared to 2016“. This may or may not make Coutinho the most searched footballer in 2017. If you see the interest and volume chart below, it appears clear that interest in Coutinho peaked at the time he was linked to Barcelona (July and August 2017), and reduced after the rumours died down. It also, for one, shows the potential of Barcelona’s global fanbase.